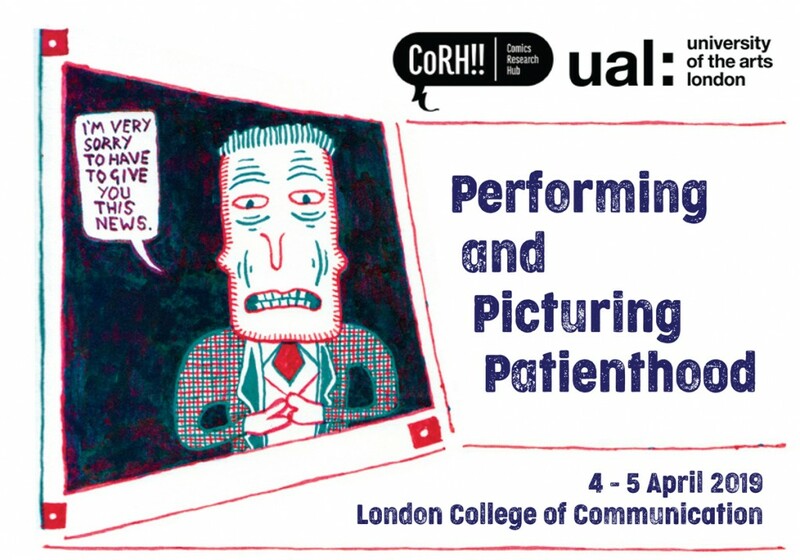 I am very pleased to be taking part in the Performing and Picturing Patienthood symposium at UAL on April 4th & 5th. It should be an engaging event with contributions from several great comics creators and academics working broadly in the field of graphic medicine. Please see details below for more information and to book tickets. How does producing graphic autobiography help artists to express and process experiences of illness? How is the tension between fictionalisation and disclosure navigated in this process? To what extent do such narratives reinforce stereotypical models of living with, or treating, illness? We are delighted to be able to bring together leading artists and scholars to address these questions and more through talks, discussions and workshops over two days. This event has been convened by John Miers to mark the end of his Researcher in the Archives residency in University of the Arts London’s Archives and Special Collections Centre at London College of Communication. Attendees will be able to view work by all participating artists, and a selection of the archival material used by John in his residency project. Participants: Andrew Godfrey-Meers, Damon Herd, Paula Knight, John Miers, Corinne Pearlman, Tony Pickering, Lucy Sullivan. Participants: Elisabeth El Refaie, Andrew Godfrey-Meers, Simon Grennan, Damon Herd, Erin La Cour, Stefan Tino Kulnik, John Miers, Linda Miller, Tony Pickering, Ian Williams.